Me: "How much honey do you think one bee makes in its lifetime, Ken?" Ken: "One 12th of a teaspoon, Heather." Me: "How did you know that?" Talia: "and plus, he's a genious." 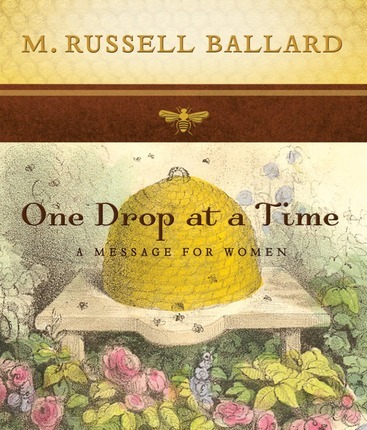 Ken: "Out of the mouths of babes..."
I had bees & honey on my mind because I was reviewing a book called One Drop at a Time by M. Russell Ballard, published by Deseret Book. The book is based on Elder Ballard's talk from the October 2012 General Conference called Be Anxiously Engaged. 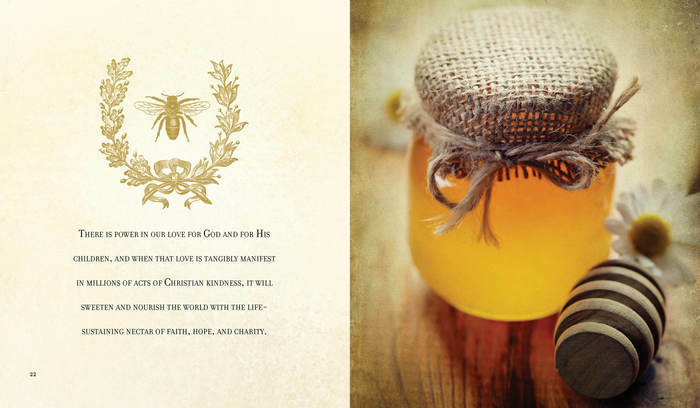 The book is beautiful- it's full of gorgeous photography and sketches relating to the story about bees and honey that he uses to illustrate the difference that we each make with all of the seemingly small things that we do. Isn't this topic perfect for women? For mothers? It seems we are all so overwhelmed, so busy, so "engaged". We are also very critical of ourselves- seeing where we fall short, and seeing so many things we wish we had done but have not managed to. In reading this book, we are reminded that just as each bee only produces a very small amount of honey, our seemingly small efforts add up to make a beautiful, sweet difference. Your small, simple acts of service DO matter! I'd like to borrow this one sometime. I sounds good.